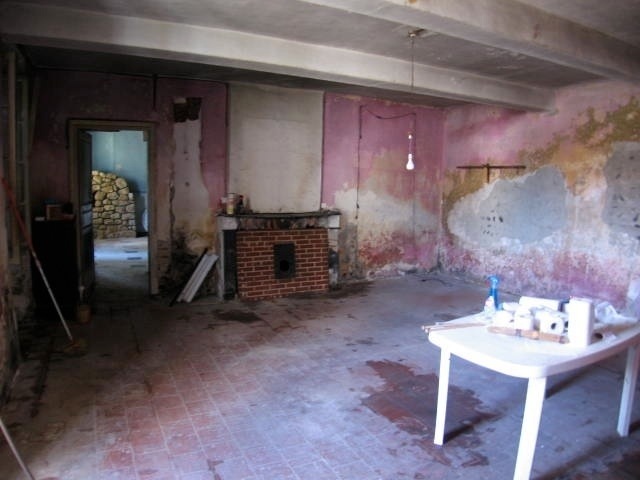 So, blog lovers, here is the before…. pink – very this season! But lets not dwell on it. Lets talk progress. Mr White did a LOT of plastering. You can see patches on the top pic of where he had started patching bits up but there was a lot more besides. And he would get up early while the rest of us were still asleep and paint large stretches of ceiling and wall with white emulsion to try and alleviate the gloom. And when he had finished, phase 1 he did what any man of a certain age would do. He bought a table tennis table to go in it. But where do we put our knives and forks? And then there began the long process of restoring the marble fireplace and buying a wood burning stove which you can see in the picture. I may in fact direct you to Mr White’s blog about this as its really his thing and although I love having central heating via a wood burning stove – I must admit to glazing over as he tried to explain the actual technicalities behind it. But here it is if you want to know and I’ll get back to talking about curtains! Our trusty chandelier that once hung in Peter’s Los Angeles Dining room was temporarily put up just for the want of somewhere for it to live. Since Peter and I moved back to London in 1999 it had languished in my Aunt Moira’s garage in Beverly Hills until a work trip a year or so ago. Somehow Moira persuaded me to carry it back as hand luggage as a surprise for Peter. The surprise for him was that I hadn’t ditched it at LAX as I never really liked it even when we lived there – it certainly wasn’t worth the painful stares from fellow flyers as I took up the majority of the overhead lockers with it on the flight from LAX to Terminal 5! But it lived on, in our half way done dining room in France. And although I don’t particularly like the chandelier itself, I did like the fact that we could sit underneath it and pretend we were back in Harratt St, West Hollywood where we first met. 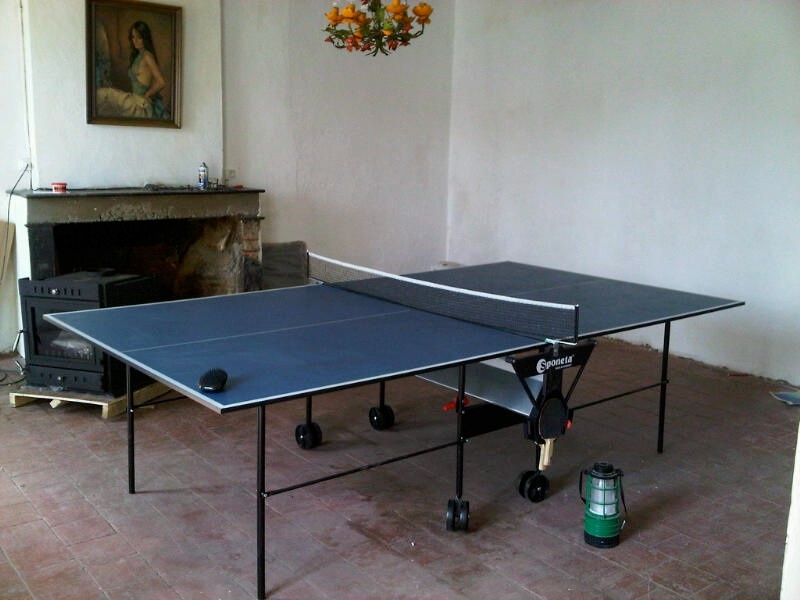 But once I found my perfect dining table, the table tennis table was removed to the barn – where it still lives happily today, often covered in bat poo but nothing that a jiffy cloth and some Ajax can’t fix. On a visit to his home, I admired both his big farmhouse kitchen and dining tables – both large enough to fill our space and perfect in terms of style. So I persuaded him to sell me both even though it left him and his kids crowded around much smaller ones until he found some to replace them. 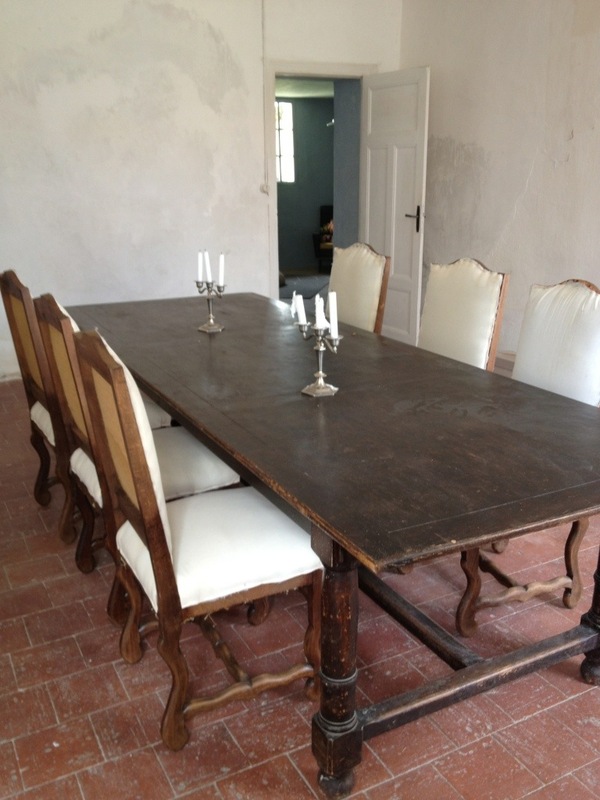 We then found some unfinished chairs at a vide grenier – all six for €100. Un bargain. 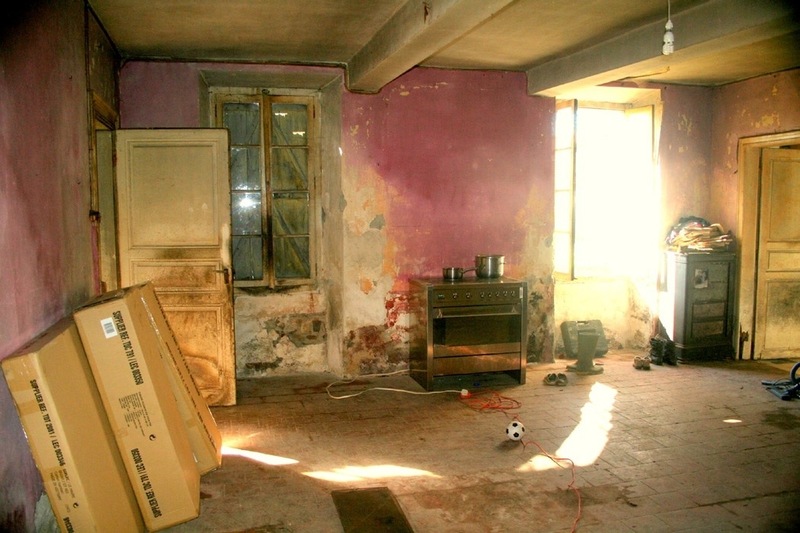 So we were starting to look like a finished room…. In fact I may leave the final phase for another post! This entry was posted in dining room and tagged Antique dining table, Dining room renovation, terracotta tiles, wood burning stove by vicawhite. Bookmark the permalink.